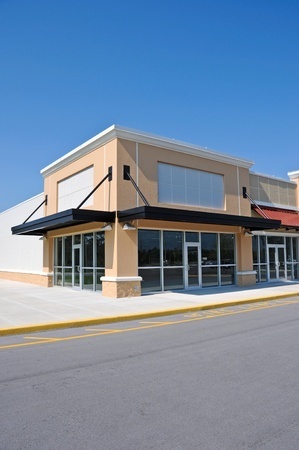 Several factors affect your commercial property value. One of those factors is the aesthetic appeal of the property. If you have a lot of pavement – usually in the form of a parking lot – it can have an impact on your property value. Whether it’s a positive or negative impact, is up to you. You’ve likely heard the term “curb appeal.” Looks drive property values, and commercial property has to look visually appealing. Good-looking grounds do more than increase the property value; they also attract business in general. Something like parking lot can take up an incredible amount of visual real estate. It draws the eye and helps people come to conclusions about the property. If your pavement is in disrepair, potential clients, investors or buyers may assume that other parts of the property are in disrepair as well. This is all assuming you have pavement that isn’t too far-gone. In some cases, your paving contractor may suggest you take further steps. If your pavement needs more than a few repairs, you should have it resurfaced. However, if you have pavement that’s torn-up and heavy on damage, you should definitely opt to have it repaved altogether. Remember that your pavement is an investment, and that investment will pay off in multiple ways – if you take care of it. If you don’t know where you should begin, you need to speak to a professional Dykes paving contractor that can help you figure it all out. Contact us today.